In the movie “Raiders of the Lost Ark,” Indiana Jones and his sidekick watch their rivals dig for the lost artifact. But despite the manpower and machinery at their disposal, they are no closer than when they started. A realization dawns over Indiana: “They’re digging in the wrong place!” he exclaims. TELUS International helps clients find answers in the right places through our Business Process Improvement (BPI) service. Our BPI consulting service looks at your processes from the customer’s eyes, and helps transform them into efficient pathways to a positive experience, at every stage of the outsourcing life cycle. BPI is designed to convert inefficiencies and untapped potential into realized opportunities for better customer service. Our BPI team delivers a roadmap that enables you to do the right work the right way. That means tying process improvements directly to your business objectives and customer needs. Doing the right work the right way is the seed and soil needed to create processes for operational excellence. The fertilizer that brings that to fruition is a rigorous focus on voice of customer, transforming processes rather than transplanting them, and empowering and encouraging team members to be active participants. Align with goals: We start by working with our clients’ leaders to understand their business strategy and goals, so our recommendations will align strategically. But that’s just the beginning; to find the root cause of broken processes we have to look deeper than the C-suite. We engage with frontline agents through focus groups to develop a better understanding of where gaps and opportunities may lie. Analyze the customer journey: Any quest requires a map, and for BPI that means a detailed map of the customer journey. Using the map, we find those pain points where a customer can get stuck and start gobbling up your customer service resources and shedding goodwill towards your brand. We then dig for the root cause and determine areas of improvement. Process documentation: Documenting current processes is critical to understanding where improvements or transformations can be made. Many organizations fail to document their processes, or processes morph into gray areas across a dispersed workforce. The outcome can be people working in silos, oblivious to the impact their deviations from the norm are having on the business. These three steps — aligning goals, analyzing the customer journey and process documentation — enable us to identify core issues and create a roadmap for an end-to-end implementation plan to solve specific problems and realize hidden opportunities. By providing our technical and functional expertise, as well as analyzing the business with a holistic perspective, we capture value and identify opportunities across boundaries and between silos or verticals of any organization. The result is a comprehensive report with recommendations for improvement, aligned with our client’s strategic objectives, which are prioritized based on difficulty/complexity of implementation, cost of implementation and business impact. Using this type of roadmap, our clients can focus first on process improvements that will make the most bottom-line impact, achieving a rapid return-on-investment and quickly enhance the customer experience. Guided implementation: We coach your implementation team through the improvements. Lean Six Sigma training: We train clients on Lean Six Sigma and coach them through developing process recommendation improvements. Business transformation: A full service combination of process documentation, workshop facilitation, process improvement and change management. TELUS International offers a perspective driven by experience. 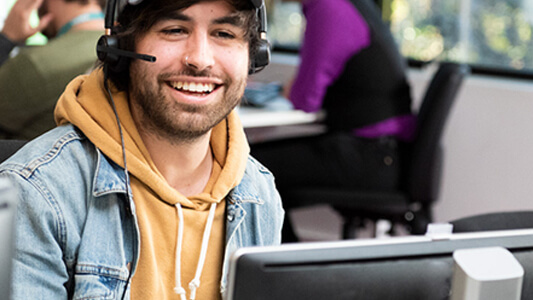 We know customer service, and deliver it for a range of clients in diverse industries including fast-growing tech, fintech and financial services, gaming, travel and hospitality and healthcare. The value we deliver springs from the combination of our BPI methodology with our experience and perspective. Equally important is our culture of ownership, where everyone invests in an outcome. This is a commitment that carries over into the process recommendations we make to our clients. We know it’s more than just process, but an understanding of how the process is working and how people are engaged. We don’t skip the essential ingredient of Lean Six Sigma, which requires connecting with the people who are a key part of the equation, especially frontline team members. That’s why we take the time to connect with those at the front-end when we are uncovering opportunities and also sharing recommendations with them to get their feedback and buy-in. From years of hands-on experience, we’ve found that this approach leads to the greatest results as the best ideas come from diverse areas and people, with multiple ideas evolving into one big concept. That is how transformation to a new solution occurs. A large retail client engaged TELUS International’s BPI team to help improve their customer service delivery. After mapping out the experience from the customer’s perspective, we identified multiple pain points. We conducted a process review in the client’s call center, and held meetings with the local operations team. 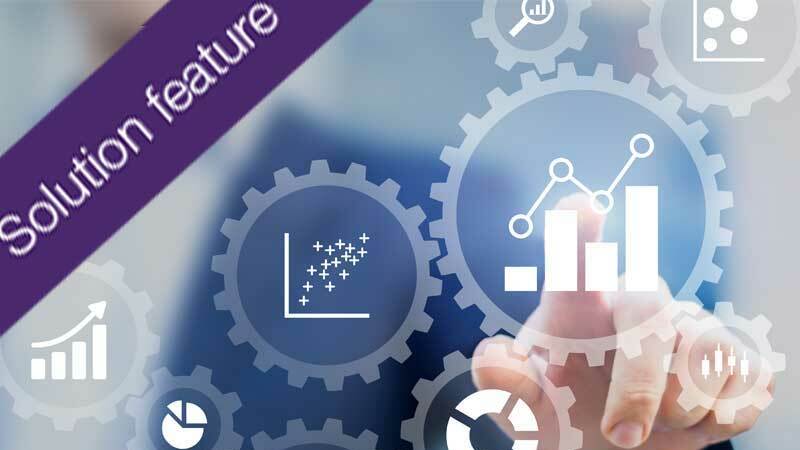 We undertook call monitoring to understand customer needs, and collected KPIs, dashboards and other data. We met with the call center director, department heads, managers and associates. We went deeper with focus groups with frontline agents. We brainstormed choke points with internal teams and leveraged our own SME expertise. Improve customer visibility and communications on top processes, with a potential 22.17 percent reduction in contacts over a 12-month period. Reduce 200 seconds of waste in Average Handle Time. Establish lead-measure-based KPIs to revamp analytics and have better strategies to improve policies, processes and associate performance. Establish formal forecasting and workload management for back office processes. Improved processes lead to profits. We were able to calculate an ROI of $1.1 million for 2018 through implementation of our recommendations. And we were able to develop these process improvements in only four weeks – one week of preparation, one week to observe, map and follow-up, and two weeks to analyze and develop a recommendation. Indy found the elusive lost Ark. Using the right tools and the right methodology, he succeeded against his better-equipped competitors (and you remember what happened to those guys). 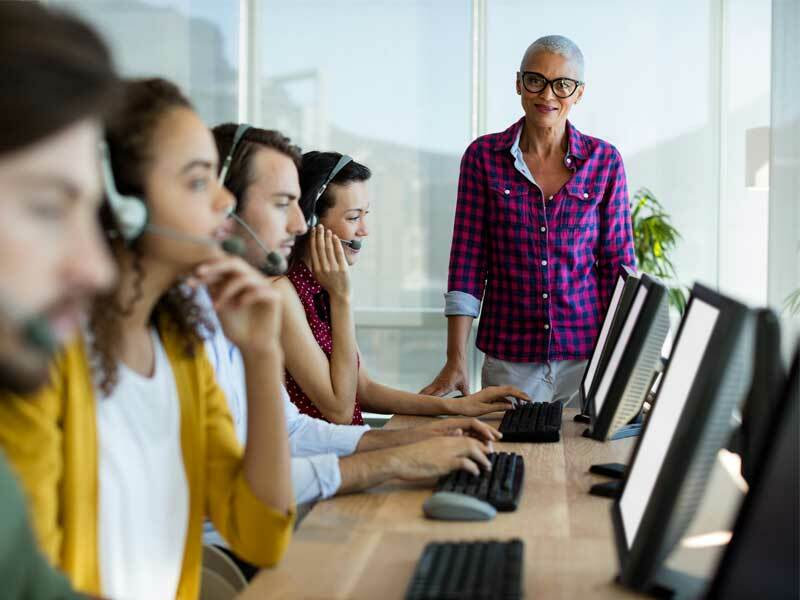 With customer service now playing an outsized role in customer loyalty, organizations wishing to stay ahead of the competition can’t risk leaving their processes to chance. You need the right work done the right way. Uncovering what that is can be challenging. Connect with us to find out how our BPI team can help you find your way.